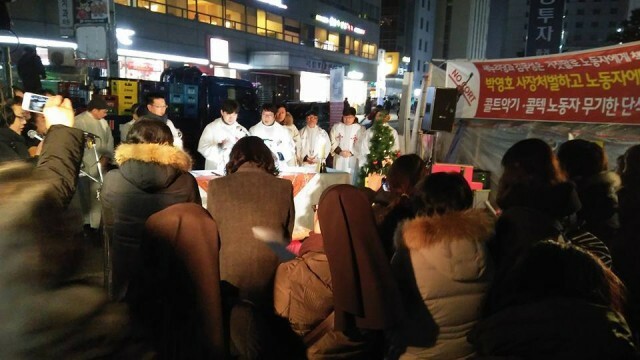 Photo by Oh Youngjoo/ A street Christmas mass in Seoul for Cort Cortec union workers who have been taking hunger strike sit-in in protest to the ruling conservative part representative's lie on the union. 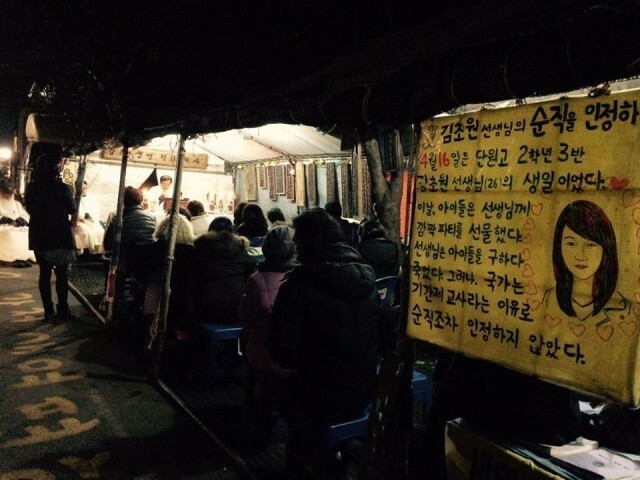 Photo by Oh Youngjoo/ A street Christmas mass in Seoul for Mr. Baek Nam-Ki, a farmer in his 70s who has lost consciousness by the police water canon on Nov. 14. 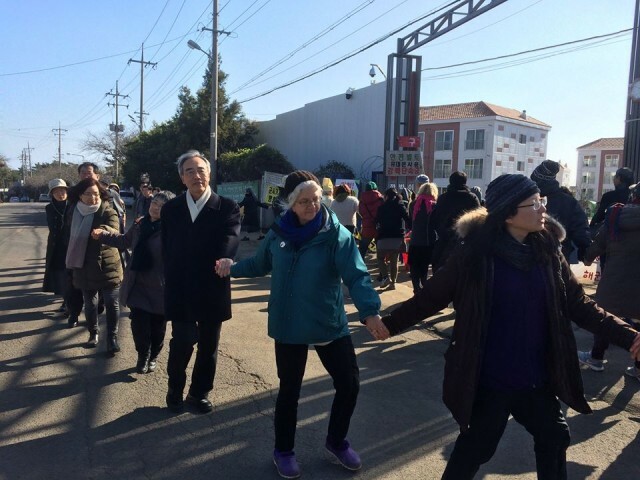 Photo by Choi Sung-Hee/ A Christmas mass and human chain with Bishop Kang U-Il. For more photos, see here. 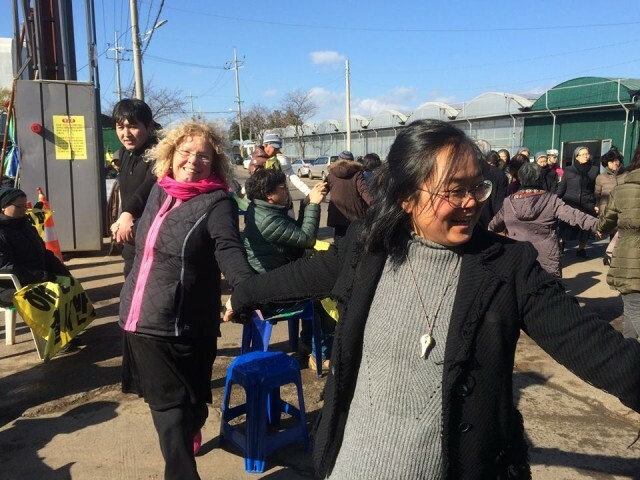 Photo by Choi Sung-Hee/ Tony, a Catholic worker from the United States join the human chain in front of the base construction gate on Dec. 25. For more photos, see here. 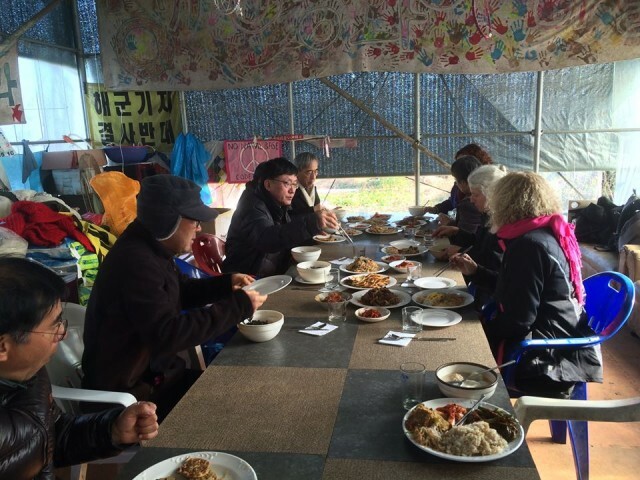 Photo by Joan Kim/ Joan of Ark, chairwoman of the Gangjeong Catholic missionary center, who was hit by a base construction vehicle and hurt her foot on Dec. 2 and hospitalized since then. 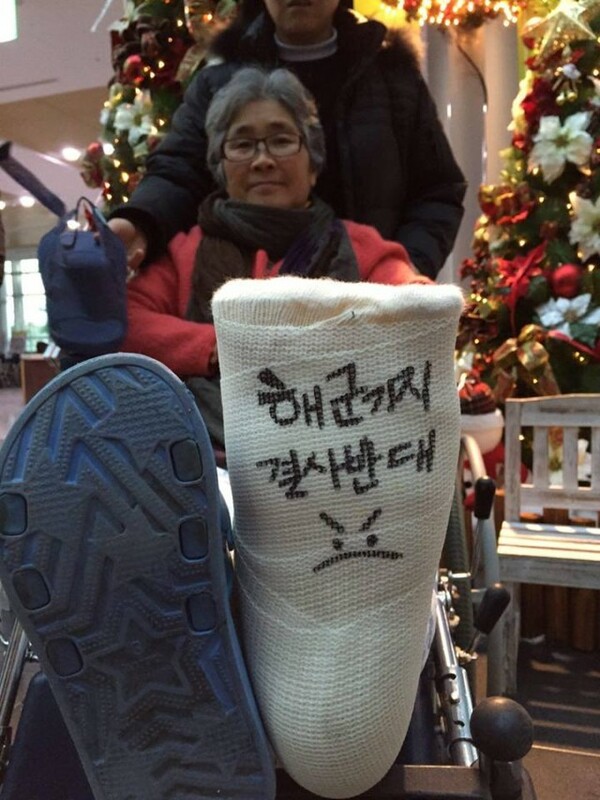 The letters in her foot read "Absolutely no Jeju naval base"! 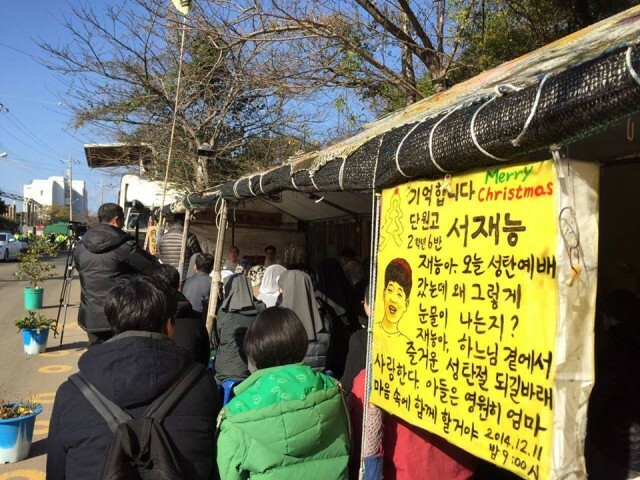 Photo by Kim Eun-Hye/ Some do 100 bows at 7 am, Dec. 25. 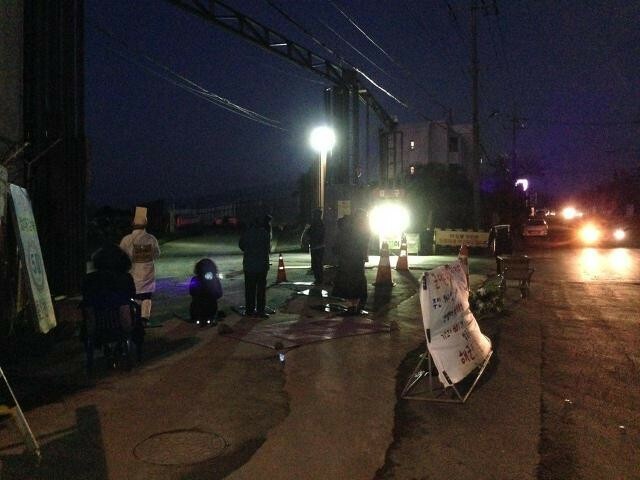 Joan of Ark has daily appeared in front of the gate for 100 bows till her injury on Dec. 2. 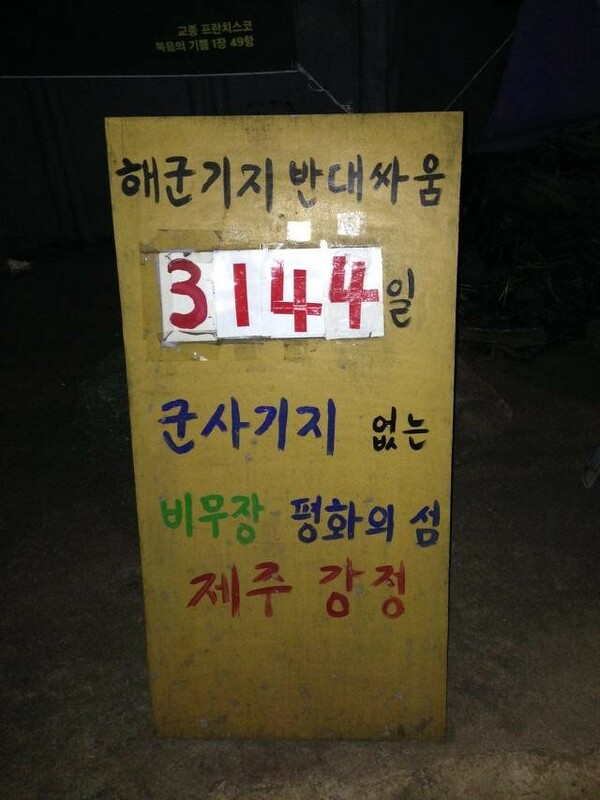 Photo by Kim Eun-Hye/ The base struggle hit 3114th day as of Dec. 25, 2015. 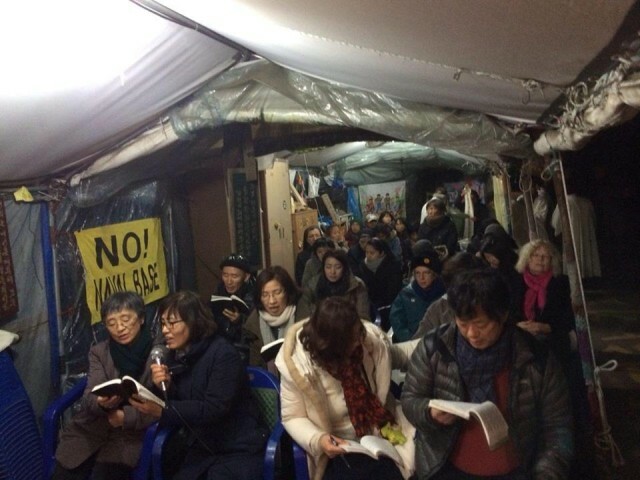 After the miracle of the ship’s safe arrival on a Korean Island on Christmas Day, the life of ship’s captain, LaRue, became totally changed. 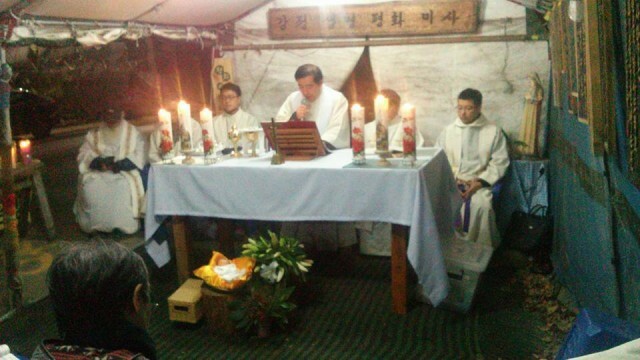 later, he ended his life as a Benedictine monk. 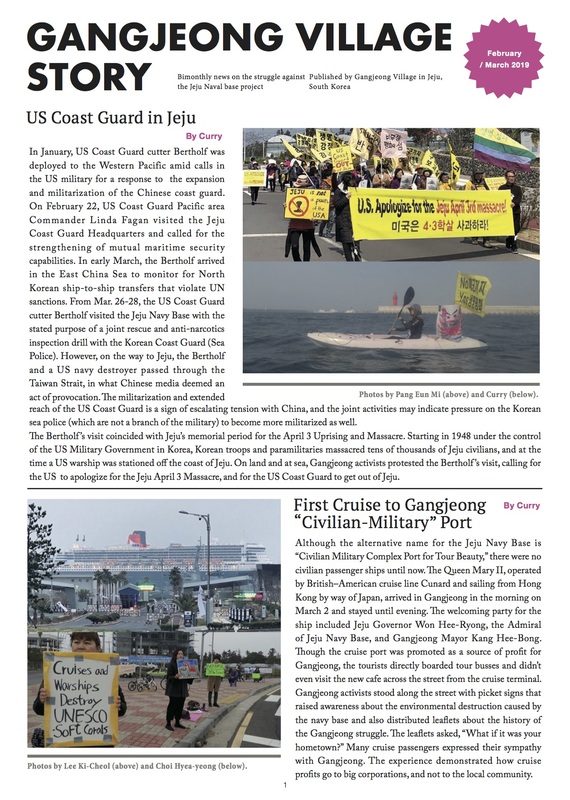 Bishop Kang reminded people that the size of ship, SS Meredith Victory, was about 7,600 ton, same with the size of a ROK Aegis Destroyer, Sejong the Great which recently entered Gangjeong. 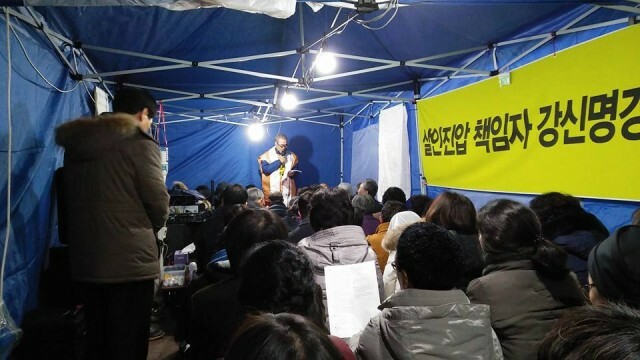 Can we use the money to save human being rather than building weapons?, he asked. 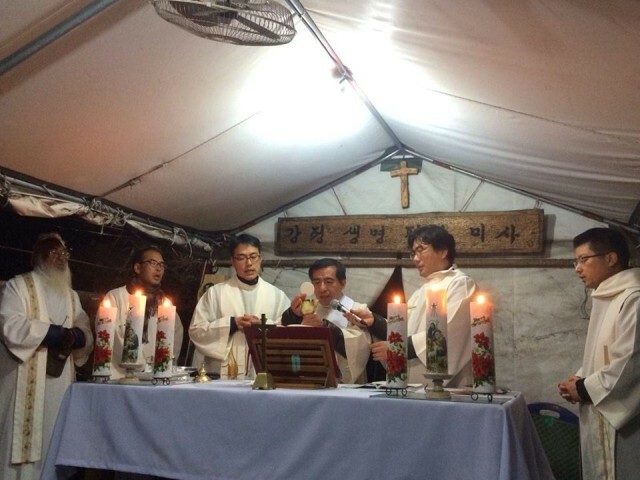 Bishop Kang’s final words were on Jesus who came to this world in the form of a small baby being totally nonviolent and disarmed.